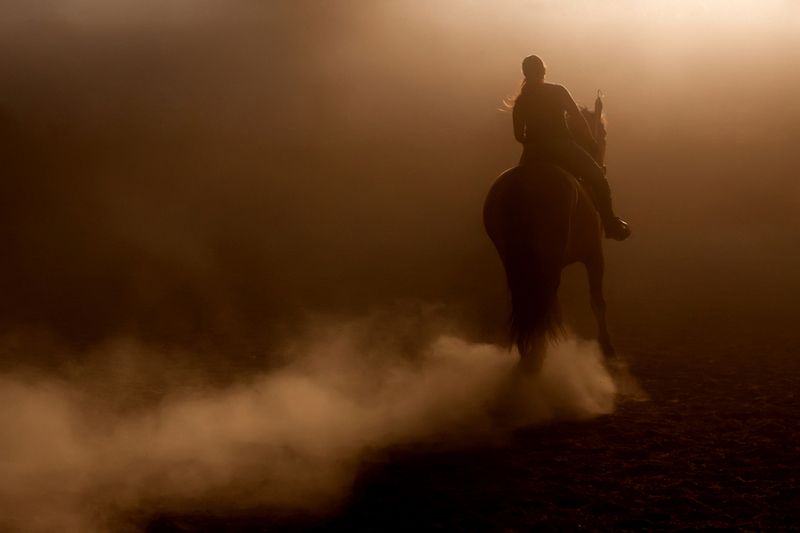 Every morning at dawn, Mr. Sebastian Cooke saddled and mounted his stallion and rode the perimeter of the ranch. His father and grandfather before him had owned and worked this unlikely land, an island over a thousand nautical miles east of New Guinea. In the year of our Lord 1879, he was the third generation of Cookes to farm and ranch here, hiring the indigenous peoples for labor, who by the way proved to be excellent equestrians. Every morning her husband rode out for precisely one and one-half hours, and was always back home in time for breakfast. Every morning except for today. “We found King by the corral, Mrs. Esther.” Haych, the foreman, held the horse by his reins, as if presenting him to Esther Cooke as a gift. “Me, Kaiki, and some of the other boys are riding out to go look for him. My wife Lehiwa and her sister Riria will stay with you, Mrs.
“Thank you, Haych. You are a good man. I’m sure my husband is alright.” She could feel hot tears behind her eyes but did not want to cry in front of the help, though having lived here for a decade now, she felt more like they were family. Sebastian had grown up on the island, but she was a Londoner originally. Her family had lost its fortune, and Father had become taken with the idea of building a new life in Australia. Their ship had sustained damage in a storm and they had to make berth at Cooke’s Island for repairs. Esther had been just 18 when she fell in love with Sebastian, who was 15 years her senior. She watched Haych and his kinsmen ride out, leaving King in the hands of the capable stable boys, and said a prayer for the safety of all. She let herself to be led back inside. She would allow the two native women to drink tea with her, and afterward, they would all kneel and pray to a merciful God that Sebastian would be found safe. Whatever would she and the children do without him if it were to be otherwise? Haych and Kaiki were in the lead with Tanugatoa, Uati, and young Alika behind. Mr. Sebastian never changed his morning route, so they followed it, first up to the north and then in a slow, gradual circle toward the west. The land was the land, the ranch by morning, a time of renewal, when the old foreman felt closest to the soil. His generation had been the first to meet the Europeans, and many did not like them and their ways. But his people were few and they and the land had been dying from drought. Mr. Sebastian’s grandfather had brought strange animals and farming supplies for a settlement on New Zealand, but they became shipwrecked here. Mr. Isaiah Cooke was given a parcel of the island and with that, taught the people irrigation, crop rotation, and much other knowledge that, to the tribal elders, seemed like magic. They saved the people from starvation, and now his own grandchildren knew no other life than to serve the ranch on the island that had Mr. Sebastian’s name. It was a hard compromise, which was what Mr. Isaiah had called it, but to those few of Haych’s generation left, they knew their continuation required not compromise but surrender, though the Cookes had always been benevolent dictators. “Grandfather! Over there!” Alika had just turned fifteen and this was his first season working with the men. He was ambitious, excitable, and enthusiastic, hoping one day to be the foreman following in Haych’s footsteps. The party all halted their mounts to look in the direction the boy was pointing. No one had seen its like before, not even Haych who still practiced the old ways, seeking visions in the ceremonial hut (something Mr. Isaiah had strictly forbidden when he converted the people to the Christian God). Mr. Isaiah’s family had brought European education to the people, so Haych recognized the shape of a dome, but never had he even imagined one that shone like the sun and crackled like lightning. “Slowly, men.” Haych guided his mount toward it at a walk knowing the others would follow. If Mr. Sebastian had seen this, he would have done the same, diverted his course to take a look at the flaming apparition. Haych was reminded of the burning bush and Moses, Prophet of the Israelites. Was this the Christian God come to speak to Mr. Sebastian? If that were so, was the God going to speak to Haych as well? Then the dome of lightning crackled, sputtered, and hissed, getting brighter. The horses whinnied and threatened to rear up, but the men kept them under control. Then the light spit something out. “Devil lizard!” It was Kaiki screaming, and for one of the few times in his long life, Haych knew terror bordering on panic. It looked like a reptile but stood on two feet like a man, and was much taller, seven or eight feet. It looked like what one of Mr. Sebastian’s books called “Dinosauria,” but they were not supposed to have walked the land since before the flood. The devil lizard looked quickly this way and that, as confused and terrified as the five men and their horses. Then it struck out at the nearest, and Haych faced death and the answer to whether or not Jesus would be waiting for him in Heaven. Men! Men were running out of the light and they had guns, but guns unlike anything that Haych and the others had seen. The chest of the devil lizard exploded as two oddly dressed men with strange weapons fired bullets faster and more numerous than the falling of rain and hail. The creature collapsed dead less than three yards in front of Haych as his horse threw him and ran! If this was why Mr. Sebastian did not return, then he was lost to them forever. Kaiki and Uati had dismounted and were helping Haych to his feet. Never had they been so afraid, but their strength as men of the people had not left them, and they stood their ground. Even young Alika, to his credit, had not deserted them. Other men and women came out of the light after the two with guns. One man looked like he could have been of the people by his skin, but his face was different, and two other men were darker still. It was one of the darker men who was holding Mr. Sebastian up. He was alive! Haych knew those words, but they were part of the world of Europeans. “Give him to us. We will take him back to the house. Mrs. Esther and the women will care for him.” The foreman ran forward toward the bizarre group. Sebastian Cooke had been raked by an enormous claw, no doubt from the now dead devil lizard, and his left side was had been laid open. These people must have applied the bandages which sealed the wound and kept him from bleeding to death, but he would need perhaps more “doctoring” than anyone on the island could offer. He and the other armed man waved their company back through the bright dome and they vanished into another world. The men of the people stared at the two strangers and then looked down at the dead devil lizard. All Kaiki could do was nod. The one called Leon followed his companion back through the field of burning light. It was only a few minutes later, as they were riding away slowly for the sake of the wounded Mr. Sebastian, that they heard a loud sound from the direction of the light. It was not an explosion but almost its opposite, like something was blowing in and not out. Haych looked back and there was only a circular scar on the land. Whatever it had been and wherever those people were from, they were now gone. Only the dead devil lizard remained. First Haych had to get Mr. Sebastian back home, and pray to the Lord Jesus and to the gods of his fathers that he would recover. After that, he had to decide what to do with the carcass of the devil lizard. No doubt the carrion feeders had already found the strangest meal of their lives. I wrote this for First Line Friday hosted at Mindlovemisery’s Menagerie. The idea today is to take the presented sentence and use it as the first line of a poem, short story, or some other creative work. The first line is, The horse came back alone. I had planned to submit a story to Uncanny Magazine for their Special Shared-Universe Dinosaur Issue, but I didn’t find out about it until about ten days before the deadline (which was yesterday), and even as I was writing something, I realized I’d never get anything presentable let alone publishable ready in time. But I still have an idea, so I thought I’d leverage it for this wee tale and I may recycle it for another submission with a deadline about six weeks in the future. 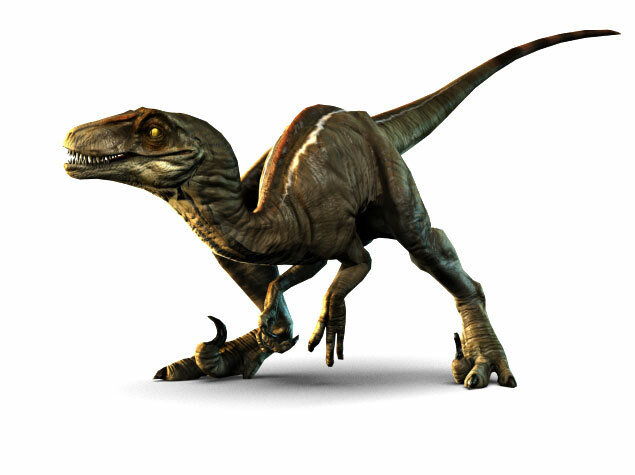 Oh, 1879 was a little early in history for most folks to know much about dinosaurs, but the term Dinosauria, meaning “terrible lizards,” was coined by British scientist Richard Owen in 1841. Today’s story only gave a hint as to who these strangers are, where and when they come from, and what mission they are on. If I put anything more complete together, I’ll let you know. Enjoyed that much needed few minutes of escape. I’m still reading Doyle’s “The Lost World” and this story fits the bill of the genre perfectly. THank you, James, as always for a wonderful respite. You are quite welcome, Jelli. As I recall, there was a very early film based on Doyle’s work that I saw once. 1925… black and white… I picked it up at the library before I left. I’ll watch it when I get home, Monday. Probably sleep through and have to watch it a couple of times to see it all. That’s it, and I checked it out from my local library as well. I love those really old movies, as much for the insights into early filmmaking as the movies themselves. Hubby and I do a Mystery Science X000 thing where we add our own critiques and catch errors and such… At least it gets him to watch the classics with me. HEHEH! The missus and I have totally opposite tastes in movies these days, so if she’s watching anything, it’s a DVD at the TV and for me, it’s on the PC.. I found I couldn’t write about island life without describing the relationship between the European settlers/colonists and the indigionous people. Especially in centuries past, colonizing and proselytizing went hand-in-hand, often to the detriment of the indigionous population. In this case, I created a semi-happy relationship, but it needed to be in place as the backdrop for encountering the impossible. As far as science over religion goes, there are some traditional Jewish scholars who have no problem with an informed faith and in man’s observation of the natural world, many of whom in the 1930s integrated findings in quantum physics and Jewish mysticism. It’s why, although ostensibly I’m a Christian (long, long story), I prefer reading Jewish religious texts. That’s really interesting. I knew that some things in physics sort of lined up with the idea of a creator, but I read about that in a book from the 40s. I always love quoting C.S. Lewis where he said “Science explains the how. But not the why.” I don’t think faith and science are in disagreement at all, personally. I’m also a huge Dino nut, and I’ve always believed in geological time and evolution. I know people who refuse to believe in the Mesosoic era, and thankfully, we don’t fight about it, but I personally just take a good chunk of the Old Testament to be holy myth/metaphor (Genesis creation) and tribal laws. Since my wife is Jewish and since I’ve spent the better part of 20 years studying the Bible, both Old and New Testaments, from a Jewish perspective, I can say the Torah and entire Tanakh (Jewish Bible) is quite a bit more illuminating than most Christians realize. I do agree that Genesis isn’t a cookbook on how to create the universe and shouldn’t be analyzed as such, and my understanding of the scriptures are that they are as much a product of the times, personalities, and perspectives of their human authors as the inspiration of the Almighty. From that viewpoint, the pages of the Bible open up to me in a way I’m not sure most folks in the Church would appreciate. I just reviewed a novel written by Irish author Aidan J. Reid called “Raising Lazarus,” which explores within the crime fiction genre, whether or not a male prostitute and Syrian refuge living in the UK in modern times is the real Lazarus from the New Testament, cursed with immortality by Christ. It’s refreshing to see Biblical fiction in the marketplace. My review is both on this blog and Amazon. I’ll check out that review and probably the book too. That’s quite a unique concept for a story. And I agree with you about the Bible. Some of my relatives are more fundamentalist and wouldn’t agree with my interpretation of the OT, but oh well. The way you just put it is exactly how I view the Bible. It’s not “perfect” But it is holy. A tapestry of poetry, allegory, moral and legal diatribes, and true history (in the case of Christ and his divinity, which research has pretty much proven to me) stitched together over the course of a few thousand years. I’m not Jewish, so I don’t have a Jewish perspective of it, but I highly respect Judaism and find it fascinating. I love the Psalms and the book of Isaiah the best. The history of the Chosen People is amazing to immerse yourself in. My favorite book of the Bible, and probably of all literature, is Ecclesiastes. So much raw anguish, exploration of humanity, nihilism, and faith. Great story! Would make a great novel. And a movie.